A month after saying a nearly double-digit rate decrease would preclude the need to regulate claimants' attorney fees in 2018, a lawmaker has revived legislation that would cap those fees at $150 an hour. House Commerce Committee Chairman Rep. Jim Boyd, R-Bradenton, will bring up Proposed Committee Bill 18-01 for consideration when the committee meets at 1 p.m. Tuesday. The proposed bill, which mostly mirrors House Bill 7085 from the last session, would allow judges to award claimants' attorneys an hourly fee of up to $150 if they quality for payment outside the statutory fee schedule. To qualify for the "departure fee," the statutory fee would have to come out to less than 40%, or greater than 125%, of the customary amount a defense attorney would have made in the same locality, based on an analysis of local defense attorneys' hourly rates. That provision is aimed at bringing the state into compliance with the April 2016 state Supreme Court ruling in Castellanos v. Next Door Co. The high court ruled that the statutory fee schedule was unconstitutional because it did not allow for "reasonable" fees in unique circumstances, such as in complex, labor-intensive cases. · Increasing the duration of temporary total disability benefits to 260 weeks from the 104-week cap that the Supreme Court in June 2016 declared unconstitutional in Westphal v. City of St Petersburg. 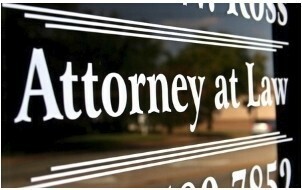 · Making the injured worker responsible for remaining attorney fees if required by a retainer agreement. · Allowing carriers to reduce premiums by up to 5% if they disagree with the filings made on their behalf by the National Council on Compensation Insurance. · Eliminating charge-based reimbursement of outpatient medical care in favor of reimbursement at 200%of the Medicare rate tor unscheduled care and 160% of the Medicare rate tor scheduled surgery. · Allowing carriers to wait 45 days to pay claimants' attorneys instead of the current 30. Orlando claimants' attorney Paolo Longo said the bill's "sole purpose" is to dissuade injured workers from retaining legal representation by imposing the $150-an-hour cap and by placing onerous paperwork requirements on lawyers. For example, the bill would require claimants' attorneys to file attestations detailing their hours and specifying how much time they spent working on obtaining various benefits. Those filings would have to occur before pretrial hearings and again before final hearings. "I think it's beyond ridiculous," Longo said. "It's clear that Tallahassee is trying to legislate representation for injured workers out of the statutes. All this bill would do is create more litigation because no one will be able to calculate a fee. "All the judges would be doing is spending all day calculating statistics of average fees... instead of actually adjudicating claims, which is what they are intended to do," he said. West Palm Beach defense attorney H. George Kagan said requiring claimants' lawyers to file their hours twice before the merits of the case are even decided would be "beyond onerous." "The most galling thing to me is the insane complexity they're getting into in order for attorneys to get a measly $150 an hour," Kegan said. "The whole game is tor $150 an hour. Just make it $150 an hour and shut up. We're already burdened with myriad deadlines and oaths and certifications." Chairman Boyd was busy Wednesday and had no time to answer questions, a staffer said. Rep. Joseph Geller, D-Aventura, repeated his call from last month that workers' compensation should not be touched until a year from now, when data will show the effects of the Castellanos court decision and whether it has driven up attorney involvement substantially. "I think this bill is misguided and won't have the desired effects, and very possibly could restrict the ability of injured workers to get access to the services they need," Geller said in a telephone interview. "I think we should wait and see how things come out from this latest go-around" with the pending rate decrease. "Let's get some data before we go rushing into this." Earlier this month, Insurance Commission David Altmaier ordered a further reduction in the decrease proposed by NCCI, finding the rate-maker had built in a profit factor that was 0.15% too high. There filing is here (click download in the bottom right-hand corner), and the rates would be effective Jan. 1. The Florida office of the National Federation of Independent Business worked with Chairman Boyd to push for the attorney fee cap, said Executive Director Bill Herrle. "We've told Chairman Boyd that we are there to help them move this bill through the process," Herrle said. "I'll allow the House to speak for themselves, but it looks like they're eager to put the burden on the Senate to initiate further action on comp. It looks like they want to move this bill fairly rapidly." He conceded the sense of urgency is not there because of the pending rate decrease. "Business owners are not going to be as concerned about what's going on behind the scenes when the bill in their mailbox is going down. That's just a fact of life," Herrle said. "But that doesn't change the reality - the business community and their advocates in the Capitol still believe very strongly that attorney fees need to be capped or those chickens are going to come home to roost and rates will go up and will be driven by litigation." 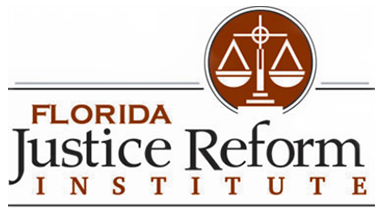 The Florida Justice Reform Institute, which opposes trial lawyers, wants claimants' attorney fees capped, but President William Large said the latest bill falls short. Large said the bill “creates terms and definitions that would eventually be litigated. The bill, in its current form, simply isn't helpful." David Langham, deputy chief judge of the Office of Judges of Compensation Claims, said the new bill give his judges “at least a modicum of discretion" on the attorney fee issue. Langham noted that the West Virginia Supreme Court of Appeals took a different approach to claimants' attorney fees last month when it rejected constitutional challenges to fee constraints similar to Florida's. On Oct 10, the court rejected Thomas Sandy's argument that a statute capping attorney fees for appealing the denial of medical treatment to $2,500 for the life of a claim is unconstitutional because it interferes with claimants' access to the judicial system. The case was Bandy v. Murray American Energy Inc.
"While we recognize Mr. Sandy's frustration with the statutory maximum attorney fee contained in West Virginia Code §23- 5-16(c), the Legislature is the appropriate branch of government with whom Mr. Bandy should raise his grievance," the five West Virginia justices wrote.